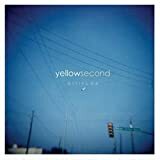 YELLOW SECOND HELLO TO NEVER LYRICS"
have i tried to sever? a losing cause to find the thing you’re missin’? All Yellow Second - Hello To Never lyrics are property and © copyright of their respective owners. All Hello To Never lyrics provided for educational purposes only.